Raising awareness of character education throughout the campus. 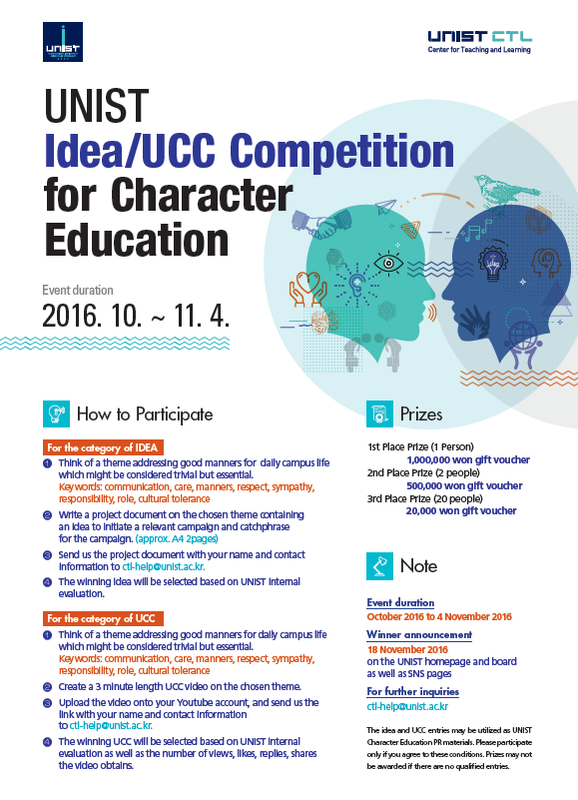 UNIST will be holding an idea/UCC competition under the theme of “finding good manners in daily campus life” in the hope of raising awareness of character education. The event is open to any UNISTAR who is interested in UNIST character education. The competition is split into two categories: IDEA and UCC and will stay open until November 4, 2016. You may participate individually or in a team, if you wish. 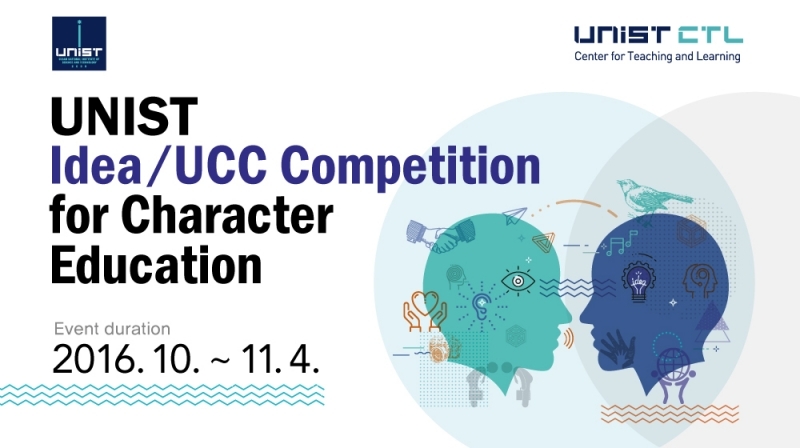 To apply, participants must choose to write a project document or create a three-minute-long UCC video on the chosen theme, finding good manners in daily campus life, and send it to UNIST Center for Teaching and Learning (ctl-help@unist.ac.kr ). The winning entries will be determined based on the overall quality, creativity, expressiveness of the chosen theme and suggested keywords, and the number of views, likes, replies, and shares obtained through SNS pages.